There was a day, not all that long ago, when chartering a luxury yacht meant largely cutting yourself off from the world: leaving behind your computers and phones, your dependence on emails and the desire to keep up with the latest news and TV shows. Those days are firmly behind us. With modern marine technology, the dropping cost of satellite communications, and Wi-Fi as a standard across the charter yacht fleet, a luxury yachting vacation no longer means you’re out touch. Depending on which satellite package the charter yacht subscribes to and the cruising area, a yachting holiday can mean you can still browse, stream, chat, teleconference, email and facebook to your heart’s content. Connect, or disconnect- it’s up to you. For many, superyacht holidays are still a blissful time to detach from the world, put away the phone, and connect not to Wi-Fi, but to the friends and family around you. The difference is that this ‘tech- detox’ is by choice, rather than necessity. However, for business owners, parents of tech-mad teenagers, and those who just like to keep in touch with friends and family while away, a vacation without a strong connection to the modern world just isn’t viable. 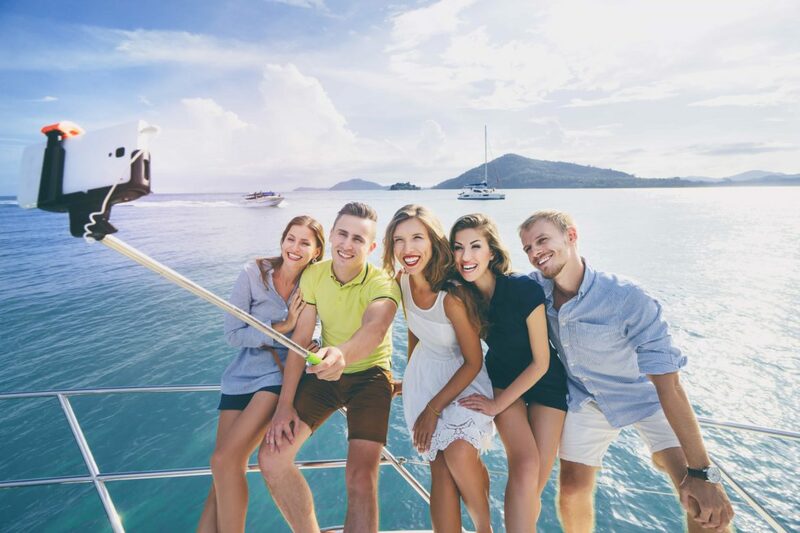 Whether it’s Skyping with your elderly parents about your trip, checking up on things at the office, or posting amazing photos and videos of your yachting adventures on social media, a luxury yacht charter allows you to keep in touch with the world. 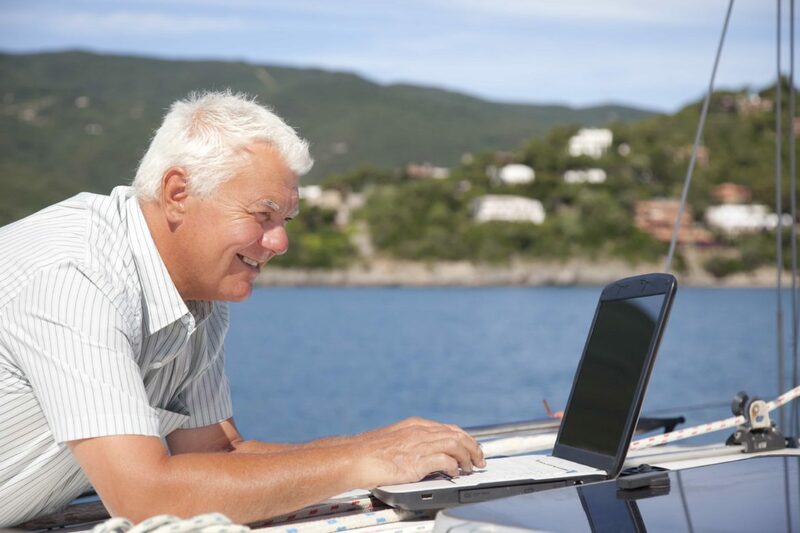 For those who like to stay on touch on vacation, here are 10 tech-related questions & tips for planning your trip with your yacht broker. • Wi-Fi. While almost all charter yachts carry onboard Wi-Fi via the yacht’s satellite system, there are large variations in the service packages that yacht owners can buy into, as well as some cruising grounds that fall outside major satellite footprints. Ask your broker about expected Wi-Fi speeds onboard the yacht you’re planning to charter, and choose a cruising ground with good coverage if high-speed communication matters to you. • Ways to increase the Wi-Fi speed. Find out if the yacht has segregated Wi-Fi accounts for guest and crew usage, which will improve speed, reliability, and security. On large yachts, there will be numerous Wi-Fi zones, and you can simply connect to the strongest Wi-Fi signal around you. If you find the yacht’s internet speed dropping too low, tell the captain and they will restrict non-essential crew usage to free up bandwidth for your group. • Plan for the things that matter. If there are certain events, such as sporting games, you desperately want to watch during your charter, tell your broker so they can plan your charter itinerary around finding a marina or anchorage with a dependable signal on that day. • Entertainment systems. There is a lot of variation with the AV systems onboard yachts. Modern yachts often have a high tech movie and music library such as Kaleidoscape built into the yacht’s onboard systems, while others have Apple technology throughout the yacht. Older yachts often have physical disc libraries and individual flat screen TVs and DVDs in the yacht’s saloon and cabins, with iPod jacks to play music through. Many yachts will have cable TV, but again, the quality of coverage will depend on the cruising ground as the yacht may be travelling outside the footprint for certain broadcasters or providers. Ask your broker for advice on which charter yachts will meet your entertainment needs. • Shore networks. Is there public Wi-Fi and land phone lines in the marinas you’ll be visiting? You may enjoy higher speeds and you’ll definitely get lower phone call costs via the shore- based networks. Be aware though, that some yachts elect not to join up to public marina Wi-Fi due to security concerns and the potential for hacking of your, or the yacht’s, private email accounts. • Cell phone coverage. Whether your mobile phone will work onboard your charter yacht depends on the cruising ground you’re travelling in, and how far you are from land. Generally mobile phone reception extends about 15 miles offshore from areas with good tower coverage, and some yachts carry a booster to improve cell coverage. • Plug sockets and voltage. Find out which sockets and voltage the yacht runs off- remember, your yacht may have been built in Europe, Asia, or even Australia. If the yacht has foreign plugs, bring several international adaptors, as the yacht will generally provide one in each cabin, but that’s rarely enough for all the gadgets we have these days. If the yacht does have the same sockets you use, bring a couple of double adaptors- particularly if you’re chartering an older yacht which tend to have less sockets. This may seem like a lot of information, but all you need to do is tell your broker if the standard of onboard communications is a priority on your yacht charter, and how you like to use technology. They’ll do the rest, finding you the right charter yacht for your business or private needs.